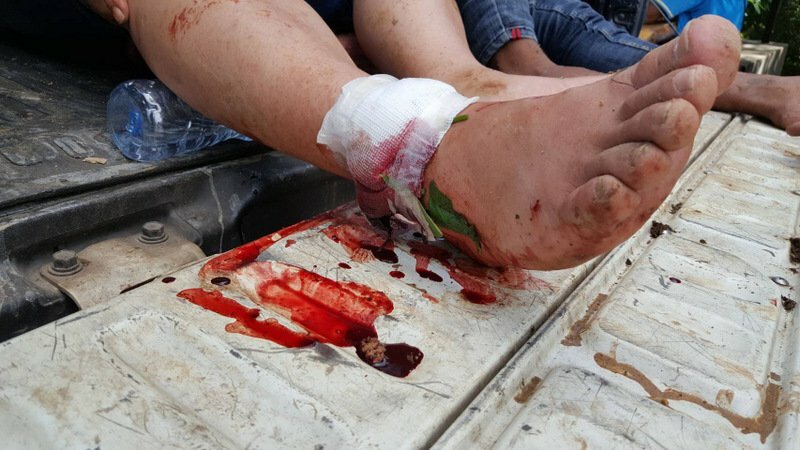 PHUKET: A family of four Chinese tourists were injured during a Phuket elephant jungle trek this morning (June 29) after a dog barked, spooking the elephants they were travelling and causing them to bolt. 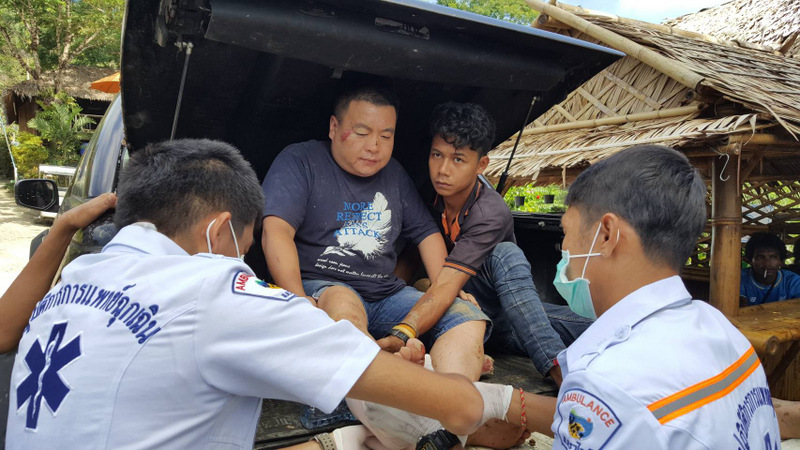 The family were on the backs of two elephants when the accident happened, explained “Mr Jack”, one of the two mahouts who led the trek through the jungle on a path leading up to the Big Buddha viewpoint. The trek, at the “ATV Seaview on Tour” elephant camp in Soi Yodsanae, started a little before 9:30am. The family, comprising Hu Jun, 37, his wife and their son and daughter, Hu Yuxin, 13, all from Shanghai, were on two elephants, Namchock and Jiant, Mr Jack explained. “We were 200 meters from the starting point when a dog, which we believe is from local resident’s house, suddenly barked out very loud. The elephant at the front panicked and ran, which prompted the second elephant to do the same,” he said. The elephants bolted further up the track, where the slope became steep, Mr Jack recalled. 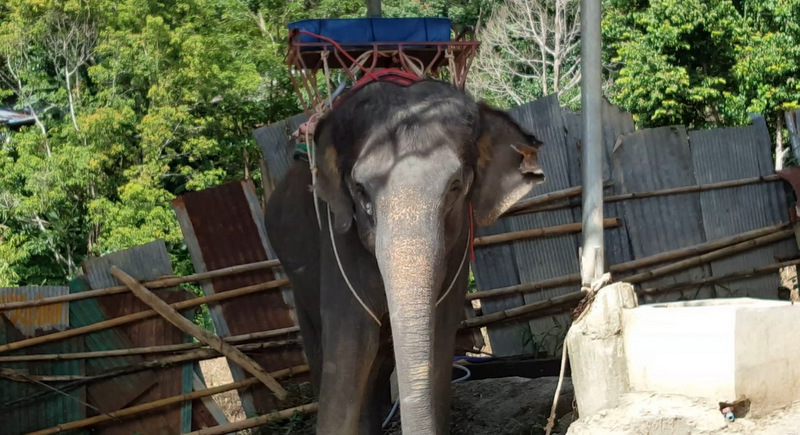 “The track was covered with mud and was slippery, causing the two elephants to fall down,” he said, adding that all four of the Chinese family and the two mahouts were thrown to the ground. Mr Jack suffered only minor injuries, but the other mahout suffered an injury to his back. Rescue workers soon arrived rushed the injured mahout to Vachira Phuket Hospital in Phuket Town. Mr Hu suffered an injury to his ankle and had difficulty breathing. His daughter, Yuxin, and his wife and son suffered scratches and bruises. 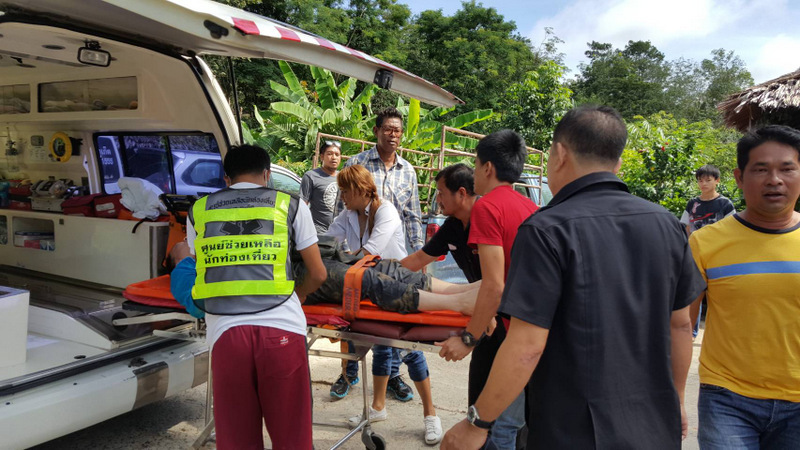 All four were taken to Phuket International Hospital. Tourist Police are reportedly investigating the incident and have informed Chinese consulate officials. 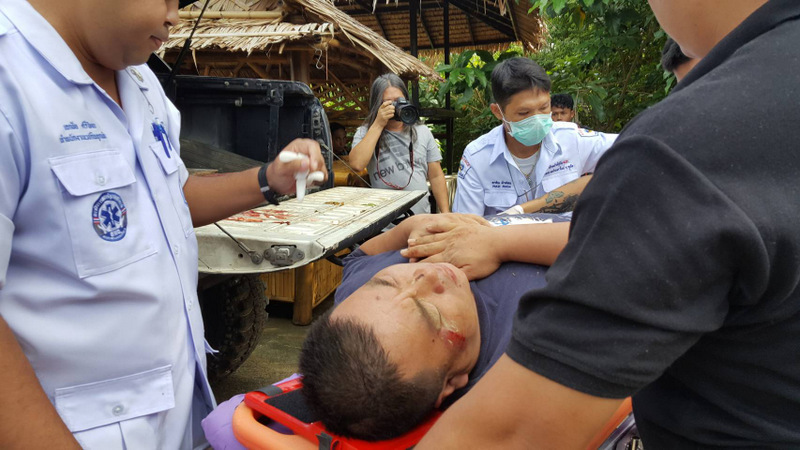 The owner of the elephant camp, Prakob Kongrod, 43, apologised to Mr Hu and his family for the incident and promised to ensure the company’s insurance to cover their medical bills. “We are very sorry for this. We run a reputable business. We are fully registered and insured, and we will do our best to make sure this does not happen again,” he said.